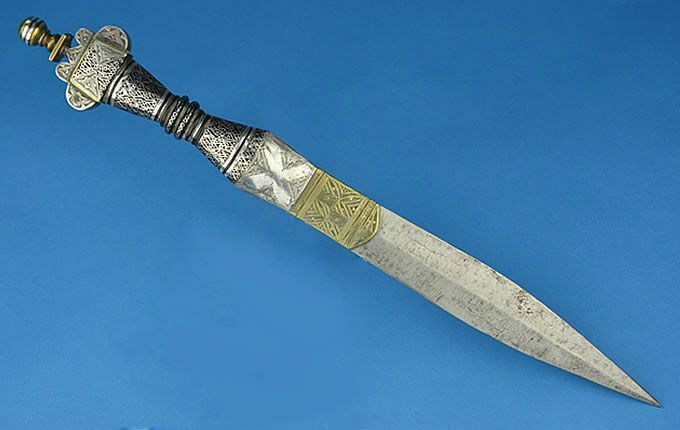 A very fine and ornate North African dagger, probably from the Tuareg people, the principal inhabitants of the Sahara. 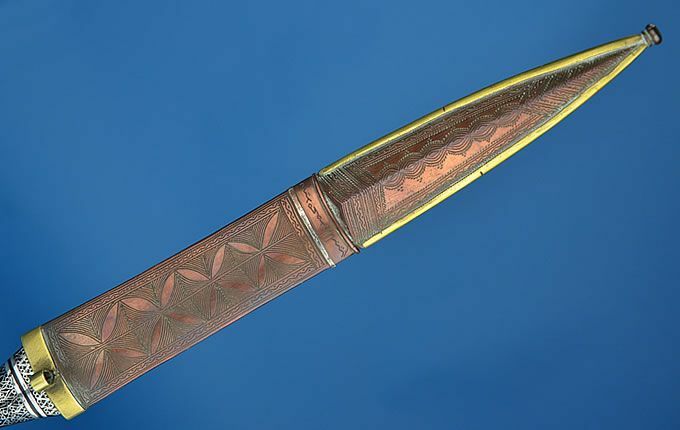 More elaborate than most, the dagger is 14.25 inches (360mm) long, housed in a copper and brass scabbard, highlighted in silver, with detailed chasing all over. Inscribed on the rear, and having a small belt loop. 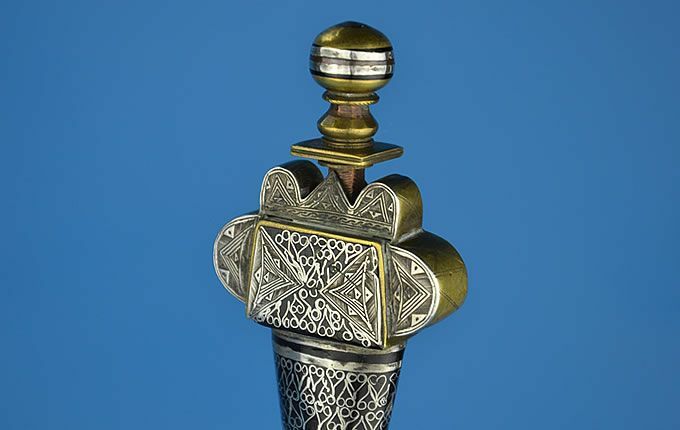 The dagger has a distinctive dome shaped pommel with a large round pommel. 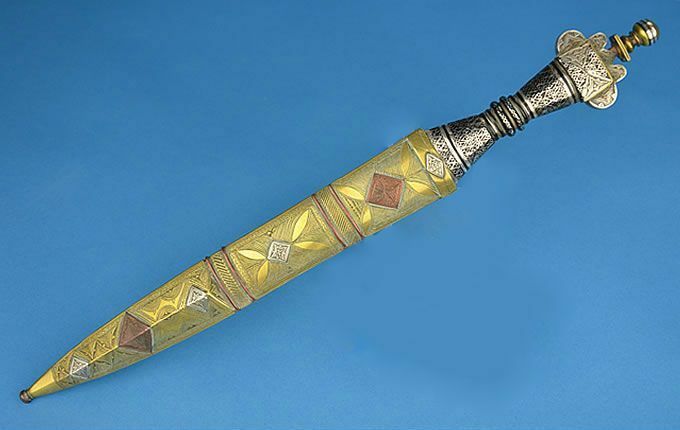 The main body of the hilt appears to be made from horn, and profusely inlaid with silver. 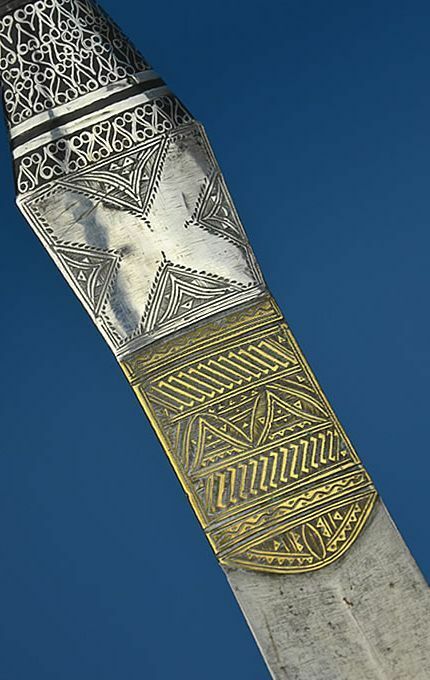 A silver ricasso with an ‘X’ design, and a lower ricasso of chased brass, both sides having diffent and intricate chased geometric patterns. A nicely shaped steel blade, with a needle tip.